Originally from the infamous Marcy Houses projects in the Bedford-Stuyvesant neighborhood in brooklyn in New York City, Shawn Carter was abandoned by his father Adnes Reeves when he was only twelve years old and he was consequently raised by his mother Gloria Carter. Jay-Z attended George Westinghouse High School in Downtown Brooklyn and Trenton Central High School in Trenton, New Jersey but did not graduate. He claims to have been caught up in selling drugs on the streets of New York in the Marcy Projects. In addition to this, Jay-Z has lyrically alluded to having sold crack cocaine and marijuana in Virginia and Maryland. Universal Music Group announced on December 24th, 2007 that Shawn Jay-Z Carter stepped down from his post as president of Def Jam Records. The rapper, 38, served as CEO of the historic hip hop label since 2005. 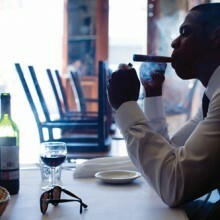 He will continue to work as a solo artist under the Roc-A-Fella / Def Jam umbrella, Reuters reports. Universal did not give a reason for his departure. Jay-Z was accused of stabbing record executive Lance "Un" Riviera for what he perceived was Riveria's bootlegging of Vol 3...Life and Times of S. Carter. The stabbing allegedly occurred at the record release party for Q-Tip's debut solo album Amplified at the Kit Kat Klub, a now defunct night club in Times Square, New York City, on December 9, 1999. Jay-Z's associates at the party were accused of causing a commotion within the club, which Jay-Z allegedly used as cover when he supposedly stabbed Riviera in the stomach with a five-inch blade. Jay-Z has been collaborating with Beyonce Knowles since 2002. That same year Beyonce appeared on Jay-Z's hit single "'03 Bonnie & Clyde" and in 2003, Jay-Z was featured on Beyonce's hit single "Crazy In Love." The couple never publicly discuss their relationship and have been together for years. Beyonce has mentioned that not publicly discussing their relationship has helped them. Jay-Z has said in a People Magazine article that "We don't play with our relationship." The couple married in November 2008. Respected venerators if you are reading this, you clicked on the page of the singer jay-z in our eLyricsWorld. Our database consists of information about 52389 artists from all over the world also 829824 songs 668 of which are from jay-z. Except for the artist's biography, on this page you can see brief information about them, which includes date of birth, style, record label Be conversant with all the news with jay-z by adding RSS link. If you prefer you could directly visit the address you are on at the moment and look through the latest songs about the singer.